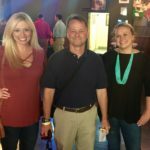 The Monson Law Firm attended the New Orleans Claims Association’s Annual Crawfish Boil at the Rivershack Tavern. Pictured left are Ann’Lee Earles, CISR, CPIA, Christina Karagiannis with CoreCare Management and Matthew Monson, Esq. Pictured right are Zack Klein with Guarantee Restoration, Eddie Rushing with E. Jacob Construction and Lauren Baudot, Esq. with The Monson Law Firm. 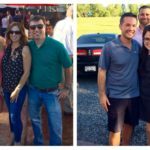 Click here to view pictures! 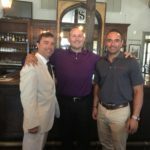 The Monson Law Firm attended the Northshore Claims Association’s May lunch meeting at the Tap Room in Covington. We would like to congratulate all the newly elected board members for the 2017-2018 year! Pictured are Matthew Monson, Esq. LCA State Board Member, Erin Belk President of the NSCA with Lighthouse and Darryn Melerine, LCA State Board Member with MD Claims Group. Click here to view pictures! The Monson Law Firm attended the Blue Goose Annual Installation meeting at the Southern Yacht Club in New Orleans. Congrats to all the newly elected board members! Pictured top are Jennifer Engle with MDD, Nanette Giraud with Robert L. Giraud Agency, Pat Fisher with Fisher Consulting and Engineering, Scott Scariano with Quick Forensics and Jeff Rhodes with Burns and Wilcox. Pictured below are Baylie Babin with Imperial PFS, Ann’Lee Earles, CISR, CPIA and Brittany Stoudt with Emergency Restoration. Click here to view pictures! 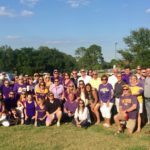 The Monson Law Firm attended the Professional Insurance Agents 1752 Club’s LSU Tailgate & Baseball Game. We had a great time seeing all of our industry friends! The 1752 Club’s mission is to unite and inspire insurance marketing professionals to excellence by networking, training and mentoring. Click here to view pictures! The Monson Law Firm enjoyed seeing everyone at the New Orleans Professional Insurance Agent’s Annual Crawfish Boil at Southport Hall. Pictured are Ann’Lee Earles, CISR, CPIA, Andrew DeGraw with LA Surplus Line Reporter and Jessica Baldholm with Regions Insurance. Click here to view pictures! 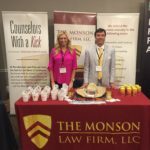 The Monson Law Firm sponsored a booth at the Rimkus Consulting Group’s 7th Annual Continuing Education Seminar in New Orleans. The topics of the day were: Forensic Toxicology for Drug & Alcohol Cases, Animation, Technology & Vehicle Accident Reconstruction and Mechanical, Electrical & Plumbing Failures. We want to thank everyone who stopped by our booth! Click here to view pictures! May the fourth be with you! 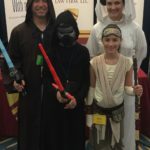 The Monson Law Firm wishes you a happy Star Wars Day. Click here to view pictures! 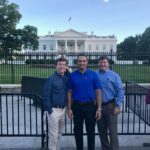 The Monson Law Firm and MD Claims Group stopped by The White House to see the President of The United States while attending the PCI National Flood Conference in Washington, D.C. this week! Pictured are Matthew Monson, Esq., Darryn Melerine and Michael Capritto with MD Claims Group. Click here to view pictures! The Monson Law Firm is attending the PCI National Flood Conference in Washington, D.C. this week! With reauthorization of the National Flood Program facing a Sept. 30 deadline, this will be a pivotal year for the future of flood insurance. The National Flood Conference is the perfect forum for agents, insurers, underwriters, legal and claims professionals to stay on top of this rapidly changing issue. 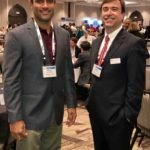 Pictured are Darryn Melerine with MD Claims Group and Matthew Monson, Esq. Click here to view pictures! 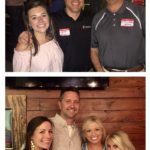 The Monson Law Firm attended the PIA of Acadiana’s Annual Crawfish Boil at Warehouse 535 in Lafayette. We enjoyed networking with our industry friends while eating tasty mudbugs! Pictured top are Brittany Stoudt with Emergency Restoration Inc., Matthew Monson, Esq., Chris Wilson with RMS. 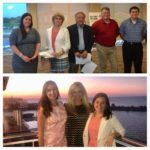 Pictured below Allison Salter with AFCO, Tony DiBuono with Southern Fidelity Insurance, Ann’Lee Earles, CISR, CPIA and Rachel Salter with Southern Fidelity Insurance. Click here to view pictures!